BLT wars! Which LA restaurant makes the better version: Classic Ed’s Coffee Shop or Karen Hatfield’s modern Sycamore Kitchen? 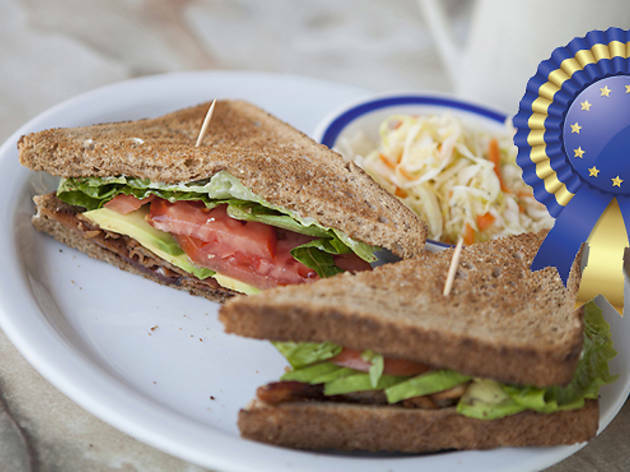 Nothing sums up all-American goodness like a BLT. 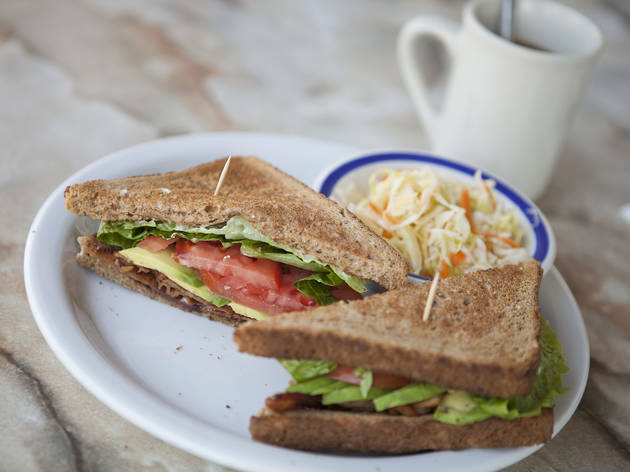 The layers of bacon, lettuce, and tomato in between mayo-slathered white bread make a tried-and-true classic. 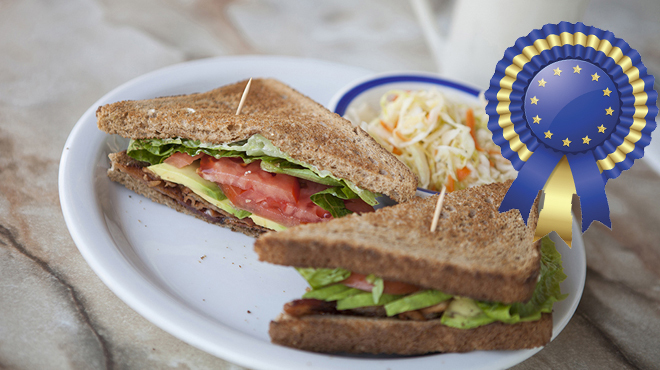 In real California form, buttery avocado builds on perfection. There’s nothing extraordinary about Ed’s version, but that’s the point. 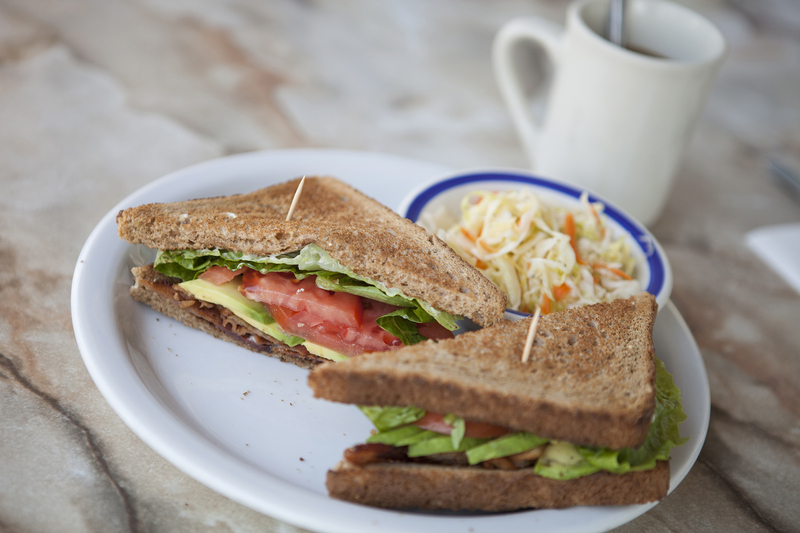 Simple and unchanged, the West Hollywood diner’s sammie ($8.95) has remained the same for almost 50 years—plenty of salty bacon, beefsteak tomatoes, crunchy iceberg lettuce and everything’s-better-with-avocado slices. Who says you can’t have enough bacon? Karen Hatfield gussies up the lunchtime favorite with double the swine—braised pork belly alongside crisp bacon—at her newly-opened café/bakery. 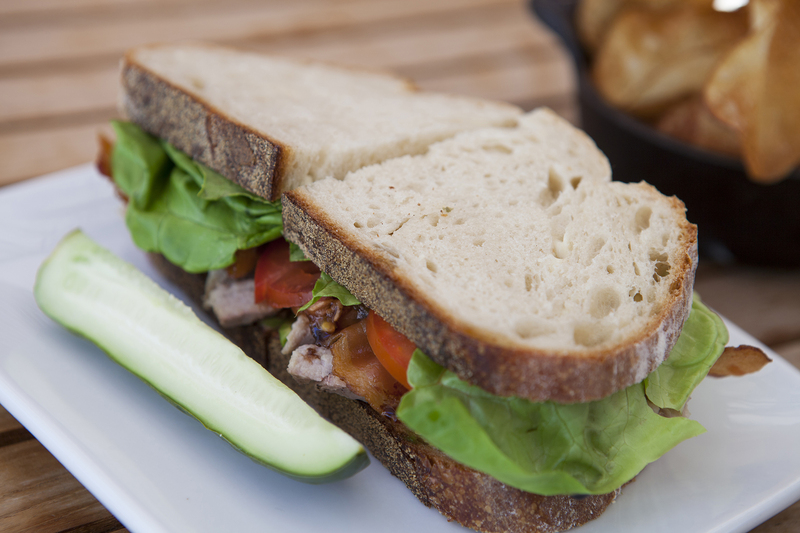 Made with heirloom tomatoes, fancy butter lettuce, avocado and served with a house-cured pickle, it's an $11 gourmet brown bag lunch. We had high hopes for the updated, pork-belly twofer from the city's beloved pastry chef. 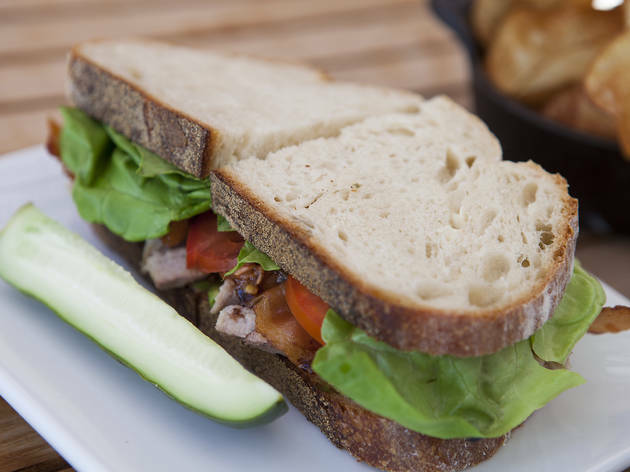 Huge points were docked for Sycamore Kitchen’s untoasted bread—albeit on great house-baked country bread—but what did the sandwich in was its sloppy structure. After wrangling the sandwich and suffering fallen casualties—namely tomatoes lberally dressed in balsamic vinegar—we almost threw in the towel…almost.